Today I finished my last class of Math 1050. AHHHHH. I am currently passing – but please pray for me on Dec. 13th that I pass my LAST final at SLCC. 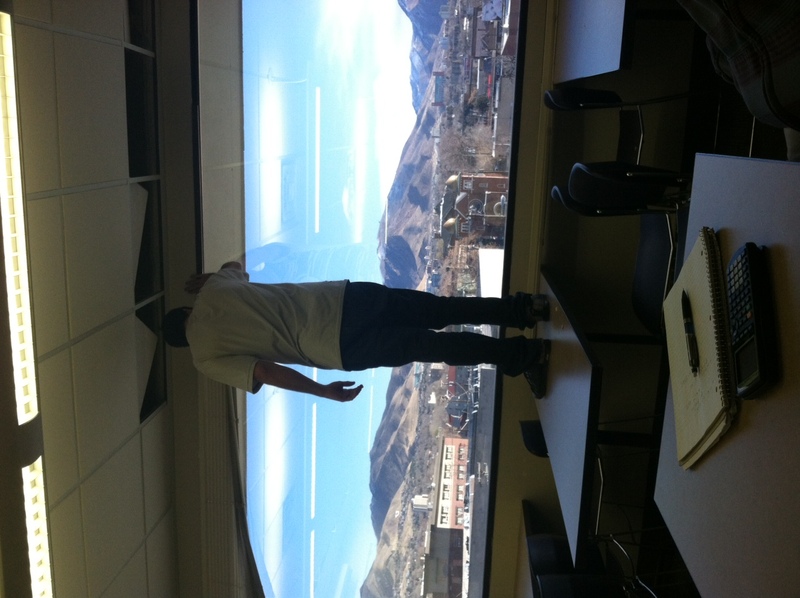 It was super windy up North – some parts of SLC got a little bit of wind too – including my 4th floor math classroom. I walked in and noticed that a part of the blinds on the east facing window had fallen off – pieces of the ceiling were on the tables and floor. Mid lecture I noticed the reflection of the lights were moving on the windows..it was because the HUGE window pane was moving into our classroom! AHHHHH. We all almost died. Okay, not really. BUT, the window did almost fall in. 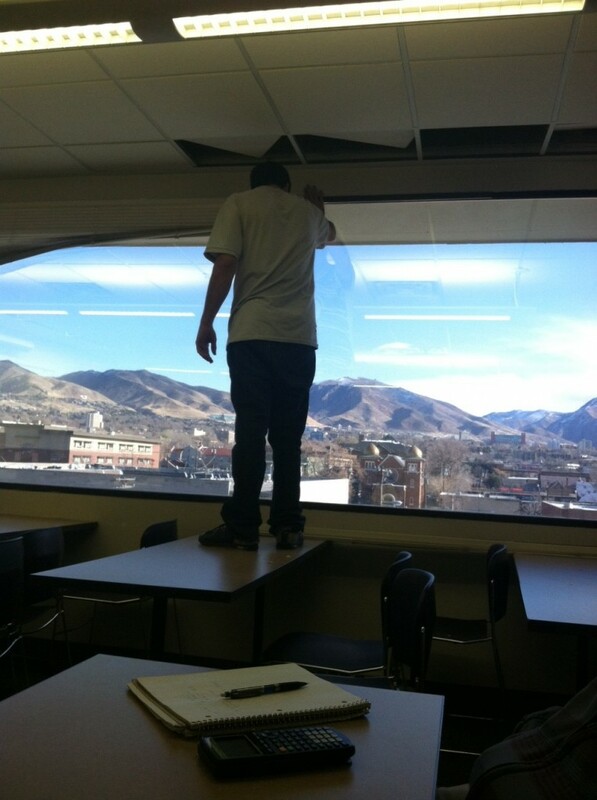 Luckily maintenance was up to hold the window so that we could finish our lecture. Tonight J and I started out December quite festively by seeing Arthur Christmas together. It was SOOO cute. I cried like, 8 times. This entry was posted in Fall 2011 and tagged Almost died, Arthur Christmas, Jackie Andrew, Math 1050 - SLCC, Windy UT, Zeph Smith by Brooke. Bookmark the permalink.